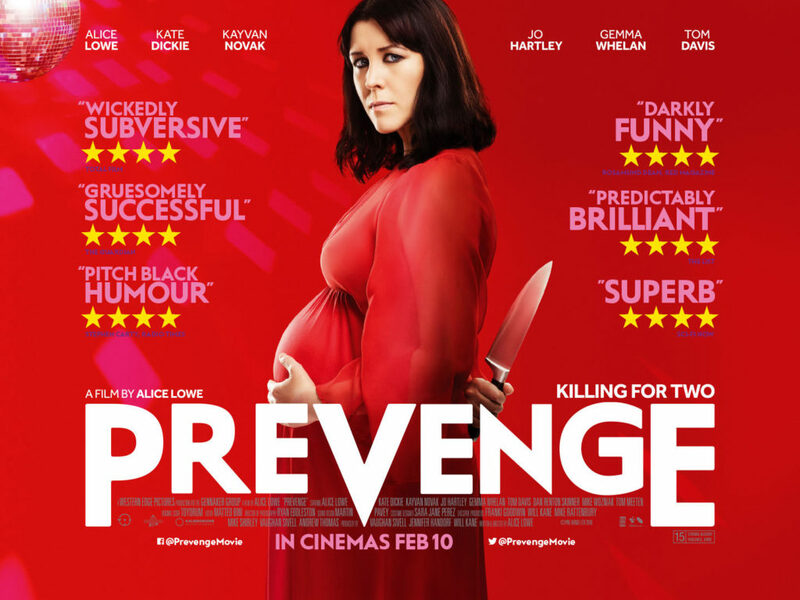 Prevenge is an imaginative, funny, clever addition to the foetal attraction canon. Nestling somewhere between Sightseers, Dead Man’s Shoes and Abel Ferrara’s exploitation classic Ms.45, this is an impressive directorial debut from Lowe. Who also penned the script and stars in the film. While being seven months pregnant. Alternating between Ruth’s murder spree and scenes backfilling the reasons why, Lowe’s script is punchy, pacy and sympathetic to the cracked woman. Her performance and dialogue build a fascinating character riddled with anxiety about the upcoming life changing event, while gleefully ending lives of those around her. Better than Sightseers at balancing humour and horror, Prevenge also stands as one of the year’s best awkward comedies – a kind of unlikely dance partner to David Brent: Life on the Road. Murder scenes shift between surreal horror and black comedy, recalling Chris Morris’ best work, with Lowe unafraid to deliver strong, wince-inducing gore. Familiar faces including The Witch’s Kate Dickie, Game of Thrones’ Gemma Whelan, Four Lions’ Kayvan Novak and Murder in Successville’s Tom Davis all line up to appear in Lowe’s horrorshow, Davis’ delusional, horny DJ a memorably grotesque creation. Satisfying right up to its abruptly cut-off final moment, with filmmakers such as Lowe on the scene British horror is pregnant with possibility.